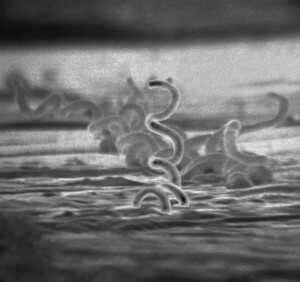 Posted on February 9, 2015 by Anna C.
Have you ever heard that syphilis originated in the New World, and was imported to Europe by unwitting explorers? Some say it’s a fitting revenge for Europeans, who brought deadly diseases like smallpox and measles to the Americas. Others say that, while it’s an interesting hypothesis, it’s mostly speculation backed by some intriguing circumstantial evidence. The predominating theory of syphilis’ origin is that it was transmitted from the Americas to Europe via sailors on Christopher Columbus’ ships — sailors who, in addition to other horrific acts, probably raped the natives of Hispaniola, from whom they could have contracted the infection. Historical records show that syphilis popped up in Europe in the last decade of the 1400s, coinciding with the return of Columbus and his crew — when Europe was deeply mired in war. 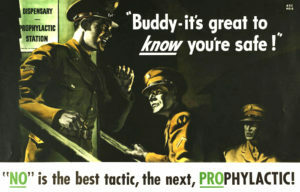 With war came the far and wide travel of troops, who could have introduced the pathogen to prostitutes and other members of local populations. In the era before antibiotics, syphilis was the world’s most feared sexually transmitted disease. But we don’t know for certain that Columbus’ crew brought syphilis back from the West Indies in 1493. Some scholars point to ancient writings, from Biblical texts to Chinese records, that contain descriptions of diseases that are consistent with syphilis — though they might merely have described tuberculosis or leprosy. There are also pre-Columbian skeletons from Europe, Africa, and Asia that seem to exhibit evidence of syphilis infection — though diagnosing syphilis based on bone samples is problematic at best. 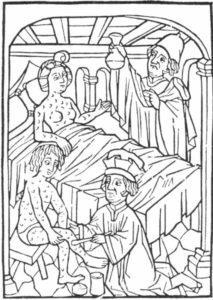 Is it possible that syphilis had existed in the Old World all along, but didn’t become an epidemic until the wars of the Renaissance era allowed syphilis to conquer the continent?